Sara is the Managing Director of Inkomoko, and is a founding Board Member of our sister organization, the African Entreprenuer Collective. Most recently, Sara was a Shell Foundation consultant to IntelleGrow, a social impact debt fund in Mumbai, focused on loans to SMEs in India. 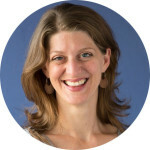 Sara has 15 years experience growing and managing social impact organizations, and through Leedom Consulting, a boutique firm based in San Francisco, she provided operations and fundraising strategy to growing nonprofits and social enterprises. Sara is the former Interim Executive Director and Director of Strategy for the Level Playing Field Institute in California, and also developed affordable housing throughout the US. An MBA from Oxford’s Said Business School, Sara was the 2013 co-chair of the Oxford Business Network for Africa, where she hosted and honored HE President Paul Kagame at the annual Oxford conference.